Download Video: MP4 Format: "MP4" Ogg Format: "Ogg"
With our sofa cover fabric dyeing service you can have your loose covers dyed to match almost any shade. You can also buy new sofas with white or natural colour cotton loose covers and have the new covers dyed to just the shade you want. Yes .. we really do mean you can send us any shade, we prefer a piece of fabric but our dyer can match to paint charts, or just about anything else. We do not charge extra for this bespoke sofa cover fabric dyeing service. We have dyed some beautiful off beat or bright colours that are never found on a standard upholstery colour chart. Why compromise? Have your own colour. 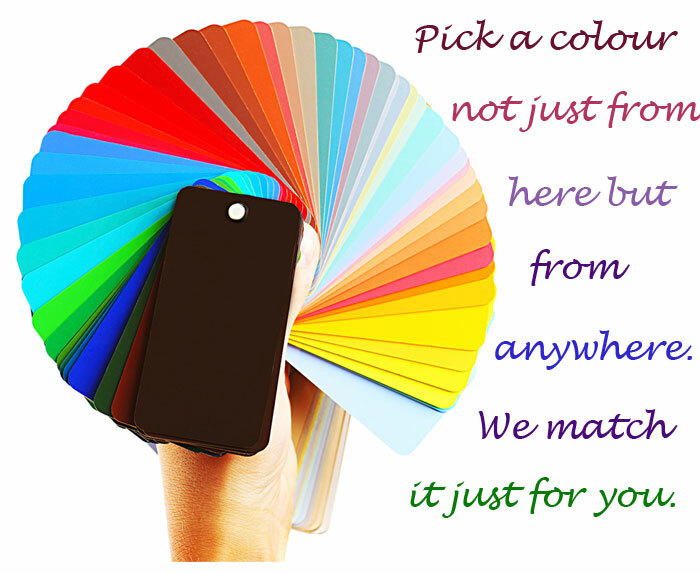 Test service: We will strip the existing shade if possible and dye to match a colour of your choice. It may be possible to have your sofa cover fabric dyed a new colour lighter than the original. If you can supply a small piece of fabric we can test it to see if the old colour strips out. 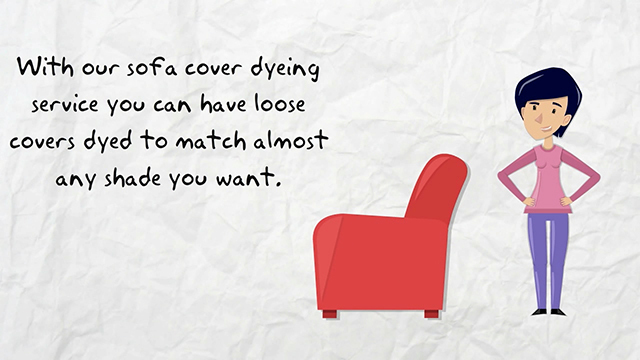 If it does not strip we can still dye your sofa covers a darker shade. This test is useful to check that your covers are made from 100% cotton if you are not sure. Remember - our prices include cleaning your covers, stripping the old colour and dyeing your sofa covers to your shade. You do not have to choose from a card. We charge no fees for formulating the shade you want. When we have completed your order we are happy to accept payment by debit/credit card and we return your covers by an overnight courier to most UK addresses. Overseas, Highlands and Islands take a little longer. We also offer an express delivery service where you can specify next day delivery before 12:00. Sending covers to us is simple too. You can fill in the very short form on the “How to send “ page and our courier will call to collect your box of covers. Or call us and we will arrange it for you. No payments are required until your order is complete and ready for despatch.